For the last two years, automakers and the U.S. Department of Transportation have been investigating the idea of cars talking to once another, putting thousands of Wi-Fi connected smart vehicles on a track in at the University of Michigan to see if they could cooperate with another and avoid accidents. Apparently the feds are convinced that the technology is ready for prime-time because on Monday, the National Highway Traffic Safety Administration said it is kicking off a process that will one day make inter-networking a requirement in all new vehicles. The technology is called vehicle-to-vehicle communications, or V2V for short, and NHTSA is billing it as a safety technology similar to seat belts and airbags. A car that can communicate its intentions, can let other vehicles know if it’s slamming on its brakes or just turned on its blinker, signaling a lane change. Drivers could then react to those cues, helping them avoid potential accidents. But the V2V and it’s sister technology vehicle-to-infrastructure (V2I) could evolve into something much greater. Instead of using the familiar Wi-Fi technologies we have in our homes and smartphones, cars would use a new flavor of Wi-Fi called 802.11p, which allows for long-range secure transmissions between vehicles. What’s the more 802.11p would allow those cars to form gigantic mesh networks. So interworked cars wouldn’t just be talking to their neighbors, but vehicles miles down the road and the highway and traffic systems around them. When combined with autonomous driving technologies like those being developed by Google(s goog), you get something really powerful. Cars not only would be able to see their surroundings through Lidar, cameras and other sensors, they’d be able to tap a kind of road hive mind. They could communicate not just their locations and immediate plans (i.e. turning left) but their ultimate destinations. Cars could then coordinate driving in configurations that let the most people get to their destination in the fastest way. The next step is the publication in coming weeks of an official report on the automotive industry’s V2V trials in Michigan and an analysis of the technology’s feasibility. After a public comment period, NHTSA and the Department of Transportation will propose regulations that would require V2V communications in all new U.S. light vehicles sold after a still unspecified future year. If all goes as plan Obama would issue those new requirements as an executive order before leaving office in 2017. The networked car and the information it collects will be a key topic at Gigaom’s Structure:Data conference next month in New York City. Ford(s f) Motor Company data scientist Michael Cavaretti will discuss how the automaker puts Big Data, machine learning and artificial intelligence to task to analyze the data our cars collect. This is such a joke. I will buy older vehicles with out all this crap! When their not available I’ll bypass the box or block it’s transmission (I work on electronics). There’s no way all variables can be accounted for. There are too many odd situations, areas GPS signals go dead etc. Our forefathers would be rolling over in their grave. Every time some bone head college boy does a study that says such & such would save x number of lives (and it looks good on paper) our government jumps to mandate some new restriction or requirement. Third brake light, air bags, ABS, all this ridiculous smog crap on the cars now. Car prices have sky rocketed over the average Joe’s increase in earnings. Yeah I can already hear comments about safety. So tell me, if I did a study that showed a 70% reduction in fatalities by wearing motorcycle helmets in cars & as our new King (since he does not follow the constitutional order on law implementation) mandated all occupants in vehicles wear crash helmets, How would you feel? After all it’s for safety? Our for fathers stated give me freedom or give me death. They did not state give me safety or give me death. If you add ALL of this stuff up, more stringent building codes etc, it adds up substantially. What about a study on possibly how many people avoid getting medical screenings due to the expense of (probably thousands of new rules, mandates etc). I think most people would be shocked at the staggering amount (consider OSHA, their regulations make many activities in manufacturing etc. almost impossible in this country). There have been more mandates in the last 30 years than in the last 100, we are on the wrong track!!!! I wonder how effective this would really be in preventing accidents. In the throes of nerding out about high tech cars it’s important to remember the concept of risk homeostasis. As cars become safer, people engage in riskier driving behavior. The classic example of this was the introduction of anti-lock brakes into New York City cabs. I’m also curious how the connected car will negotiate conflict between data and driver. Also, I do share some of the concerns expressed here about state monitoring and control of vehicles. For example, will police gain the ability to control the car of a suspect fleeing in the name of protecting bystanders and other drivers? That doesn’t seem like a bad idea on the surface, but the fact that we are quickly realizing not just a monitored society but one in which the levers of control are becoming omnipresent bothers me. Of course, if it’s done in the name of safety it’s all good, right? Right? Out of curiosity. What happens when the device malfunctions and the driver does not realize it? Wouldn’t a failure to transmit effectively leave a real ‘blind spot’ in traffic? What kind of warning is there to let the drivers know that device failed without panicking said driver? What about cars made before 2017? How will the system protect against accidents with those? Best case scenario is that it will be 10-15 years after 2017 before drivers can actually rely on the system to reliably protect them from highway threats. Sounds like a feel good measure to me. Sounds pretty much like House Arrest. Its another fantastic idea screwed up by an over-reaching Government. I value my Freedoms too much to trade off the Security. First of all, the chance of radio frequency interference (RFI) between transceivers in a crowded scenario like a very busy Beltway, just scares the heck out of me…would result in instant chaos. Secondly, you are gong to tell me I can’t drive my 1967 MGB until i retrofit it with one of these? Ridiculous! My concern is the integration between old and new vehicles. When do the government tell cars not outfitted with it that you can’t drive that type of vehicle anymore. So the antiques are only good to look at and not to be driven on the modern road. This company TIEMAC is working on automated system with V2I connectivity to allow commercial vehicles (over the road trucks in particular) to become part of this connected vehicle infrastructure. We are seeking donations to finish our prototype. We appreciate your help in donation through here http://www.indiegogo.com/projects/connected-vehicle-fleet-saas-operations-management-part-2/x/3931763. Hey! I have an idea! How about we mandate advanced driving school like the Germans do? Sure an advanced driving school will not eliminate crashes either, but it’ll help do the same thing this system does, which is remove the “I’m not paying attention to my surroundings, therefore I’ll just go ahead and hit someone” at a fraction of the cost. Point being, drivers like me do not need technology to tell us how to drive or respond to a bright shiny red light in front of us. The only time I’d find a car that can drive itself helpful is if I had one too many drinks, otherwise I do what’s easy, which is not drive at all. Germans die from auto accidents just like everybody else. If a system like this could reduce auto fatalities by 50%, or 70%, or 90%, what’s the problem here? No matter how skilled “drivers like [you]” actually are, computer automation is thousands of times faster. You’re not immune from a bozo ramming into you going 80, pal. I’m surprised there isn’t any mention of Waze. When I drive in my car, I’m part of a social driving network that provides me with lots of information. For me, Waze has obsoleted two market segments: premium Nav systems and premium radar detectors. That’s like $900 per car! Waze is not about auto-driving, but it provides the driver with a ton of real-time information that makes driving a lot easier. No, I am not affiliated with Waze in any way, just a user and a fan. In fact, if you’re listening Waze, you really need to focus on an easier user interface that is more integrated with the car so I don’t have to take my eyes off the road or my hands off the wheel. Hi Mcbeese, I’m a big fan of Waze myself (5,000 points away from getting my Knight’s sword — for someone that doesn’t really drive that much, that’s not bad), but I believe the two are different. Crowdsourcing traffic and detecting the precise location and intent of the cars around are two different things. 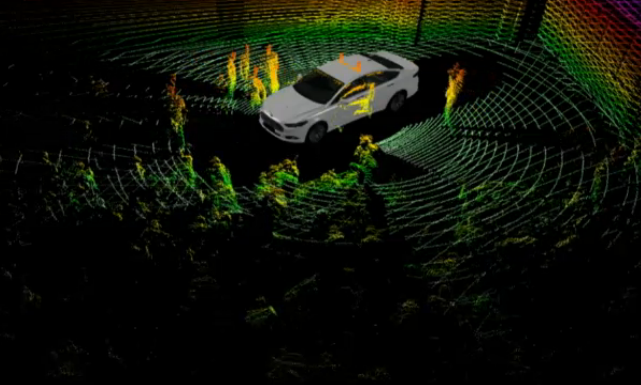 Crowdsourcing map and traffic data will be a big part of the connected car, but it’s just one component. Eh, if the networked car is such a good idea, why mandate it? I get that the network of communication works better if every car has these (theoretically) … but not every car will have them will introduced and you can’t force replacement of 100 million cars overnight. If it adds value at less than 100%, then it doesn’t need the mandate. I’d rather have car owners see the value of it and have the companies forced to innovate and get folks onboard that way, vs. mandate. 2) It opens the door for another of regulatory capture and regulatory over reach, vs. letting the market decide. But, hey, what would the regulators do if they couldn’t sit around ways to create a bigger regulatory empire? In the meantime, I look forward to the self-driving car. I’d love to get more work done during my daily commute. So I’ll sign up for it … but don’t force me to. That’s a pretty libertarian POV there, and I definitely appreciate your points. But this is something that the U.S. automakers are in favor of. It only really works if you reach a critical mass, and that requires a government mandate. Regulation for regulation’s sake is a bad thing, agreed, but regulation is necessary to move the industry forward. Take the Federal Aid Highway Act which created our interstate system in the 1950s. You say this will raise will transportation cost for the poor, but I don”t buy it. Wi-Fi is a cheap technology, and by mandating this technology you move it from the realm of expensive luxury cars into the the everyday world. We’re probably not going to agree on this, but I think in this case regulation is a good and necessary thing. Wi-Fi is cheap, but what about having to buy a new car? Many Americans can only afford a used car that may be ten or more years old. Can an older vehicle be retrofitted affordably, or will a 20 year transition plan be needed, along the lines of that which was dragged out in the switch from analog to digital TV broadcasting? perhaps only a few thousand new cars will BE AFFORDABLE by us peons smashed down by corporate state fascism. Solid security for this type of mesh network is probably possible with a simple and well-made cryptology, but do you really think this is going to get through our government without putting a nice back door in the cryptology for law enforcement? Because I certainly don’t. So, I know this concept is in its very early stages, but how is this giant mesh network secured? I LOVE the idea of just sitting in my car and having it drive me to my destination through rush hour but definitely get nervous around the security. What will stop a hacker from transmitting the information of a false vehicle, causing all the cars to slam on their brakes? The idea is make the cars anonymous themselves so you would receive information about what cars are around you at what speed, but not any information on specific vehicles or their identities. As you point out though, you could still spoof the system into thinking there are cars where there are none (and anonymity would make that easier). It’s definitely something they have to figure out. The auto industry is promising a completely secure channel, but nothing is completely secure. If you think this won’t be used AGAINST people the government dislikes, you are f*cking insane. Obviously, a car that is not “visible” to the numerous sensors cannot possibly be there. Sounds very much like the sensor net from Daniel Suarez’s book Kill Decision.